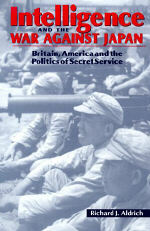 Intelligence and the War Against Japan offers the first comprehensive history of the development of the British secret service and its relations with its American intelligence counterparts during the war against Japan. 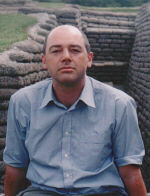 Richard J. Aldrich makes extensive use of recently declassified files in order to examine the politics of secret service during the Far Eastern War, analysing the development of organisations such as Bletchley Park, the Special Operations Executive and the Office of Secret Services in Asia. He argues that, from the Battle of Midway in June 1942, the Allies focused increasingly on each other's future ambitions, rather than the common enemy. Central to this theme are Churchill, Roosevelt and their rivalry over the future of empire in Asia. Richard J. Aldrich's cogent, fluent analysis of the role of intelligence in Far Eastern developments is the most thorough and penetrating account of this latterday 'Great Game' yet produced. "Earl Mountbatten of Burma narrowly escaped a Japanese plot to ambush and shoot down his aircraft over China during the second world war, according to a new book that discloses untold secrets about the intelligence war in the Far East ... The Mountbatten story is amongst a host of secrets brought to light by Richard Aldrich ... . It discloses embarrassing proof that British and American Secret Services often competed instead of fighting the Japanese." "The Far Eastern Intelligence War has been a closed chapter until relatively recently, with the opening of a certain amount of classified material in the Public Record Office augmenting a mass of top-secret files in the American National Archives ... As Richard Aldrich ... makes clear, a sharp division of long-term aims divided the Allies in this theatre - a fact excised from Churchill's war memoirs." "As a contribution to its subject - and to Second World War studies generally - it is at least important; it may be a landmark"